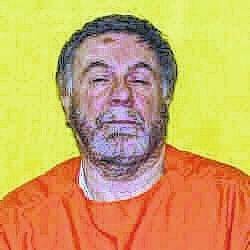 The U.S. Sixth Circuit Court has affirmed the denial of a petition of a Genoa Township man currently on death row after being convicted in 2003 for murdering his wife and a friend. Gerald Robert Hand, 67, is currently incarcerated in the Chillicothe Correctional Institution, where he has been since June 24, 2003, shortly after he was convicted on two aggravated murder charges and sentenced to death. Hand was originally scheduled to be executed on Sept. 8, 2003, but is still appealing the verdict in the case. His latest appeal, filed in with the U.S. Sixth Circuit Court of Appeals in April 2016, alleges that there were several constitutional violations in the case. The alleged violations include: the court failing to adequately question jurors about news coverage of the trial; Hand’s attorney failing to present expert psychological testimony at sentencing; and the jury convicted Hand based on insufficient evidence. A hearing was held before the Sixth Circuit Court of Appeals on Jan. 26, and on Sept. 8 the court issued a ruling in the matter, denying Hand’s petition. In its ruling, the court wrote that Hand’s claim that the court failed to adequately question jurors lacked merit. The court also detailed and dismissed Hand’s six other alleged constitutional violations. “Based on the forgoing, the claims in Gerald Hand’s habeas petition are all either procedurally defaulted or meritless,” wrote Judge Danny Julian Boggs. A new execution date has not been set, but Hand may appeal to have his case heard before a full federal court of appeals or the U.S. Supreme Court. The case was prosecuted by then-County Prosecutor Dave Yost and assistant county prosecutors David Gormley and Marianne Hemmeter. During the trial, prosecutors alleged that Hand was responsible for the shooting deaths of his fourth wife, Jill Hand, 58, and his longtime friend and employee, Walter “Lonnie” Welch, 55, at Hand’s home in Genoa Township on Jan. 15, 2002. Hand told police that an intruder entered his home and shot Jill. Hand said he picked up two pistols and shot at the intruder not realizing it was Welch. Police found Welch’s body in the driveway of a neighbor’s house and reported he had been shot several times in the face, chest, and back. Prosecutors contended that Hand conspired with Welch to kill Jill Hand for life insurance money and double crossed Welch on Jan. 15. Prosecutors said Hand killed him to silence him about their plot to kill Jill Hand and two of Hand’s previous wives. Prosecutors said that on Jan. 15, Hand killed his wife, then waited for Welch to arrive before killing him. One of Hand’s previous wives, Donna, was found strangled in the basement of the Hand’s home in Columbus in 1976. Lori Hand, Gerald’s next wife, was found murdered in a similar fashion three years later. Prosecutors said Hand paid Welch to commit the murders. Hand had alibis for the 1970s murders and was never charged. “This defendant is either the most unlucky man that any of you will ever see. A man who has, through no fault of his own, lost three of his wives to random acts of murder, or he is instead a vicious killer whose quest for financial gain has led directly to the deaths of those three wives,” Gormley told the jurors at the time, according to a story that appeared in The Gazette. The Gazette reported in 2003 that there were more than 300 exhibits and more than 60 witnesses in the case. The jury returned a guilty verdict on two counts of aggravated murder, three counts of conspiracy to commit murder, and one count of attempted escape. The trial lasted four weeks and the jury deliberated for eight hours. He was sentenced to death on June 4, 2003. It was the first death row case in Delaware County since 1987.